The Oppo Find X is awesome, that’s the consensus from last week’s poll. Even though we put an opponent in its way, the new flagship rose to the challenge thanks to its pop-up mechanism that lifts not only the selfie camera and 3D face scanning hardware, but also the dual camera on the rear. 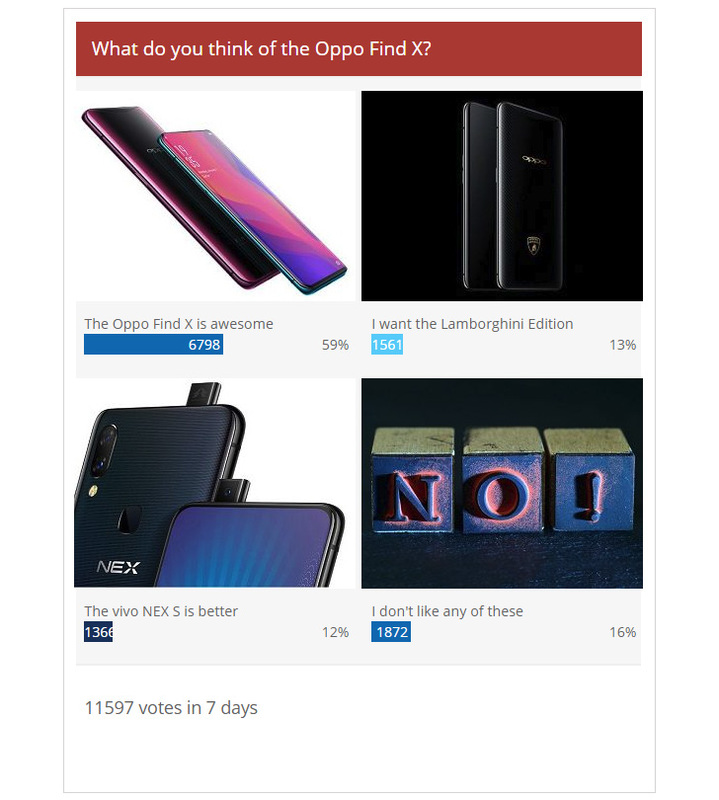 The Lamborghini Edition of the phone – the first phone ever with Super VOOC – got a respectable number of votes, just enough to push it over the vivo NEX S. The vivo flagship is a sibling to the Oppo phones and has its own strengths, including an under display fingerprint reader. However, its pop-up mechanism only raises the selfie camera. 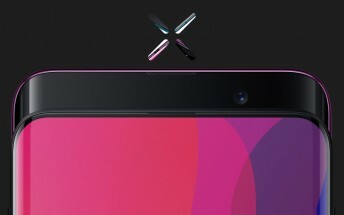 The Oppo Find X presents an alternative approach – all cameras (and other sensors and even the earpiece) are mounted on the mechanism. This serves to protect the cameras from scratches and is also a boon for privacy. It also bets on 3D face scanning (using structured light technology like the iPhone X) for authentication, there's no fingerprint reader here. Is it the right move? Maybe, maybe not, BKK has hedged its bets. And hats off to it, its brands are pushing smartphone innovation forward at a time when things have started getting a little stale.